Water - Hudson Paving & Excavation, Inc. Working closely with local water departments, we have installed a wide variety of water systems. 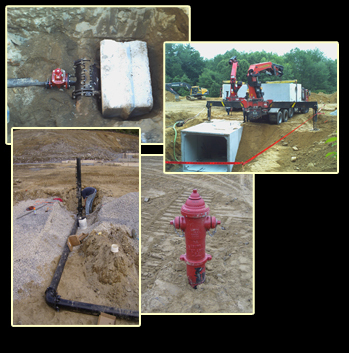 Our capabilities include live tap connections, domestic services, fire services, hydrant installs, cistern tanks, new main installations, main replacements and repairs. We are always available for any type of residential or commercial emergency water line repair, 24 hours a day.